An amazing presentation in five phases of this classic poker demonstration! 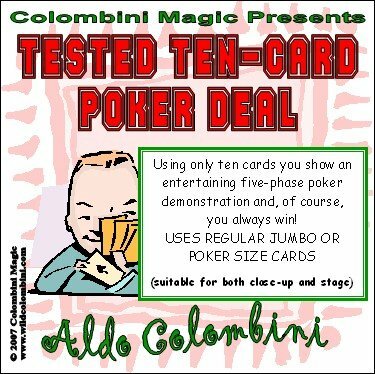 Using only ten cards you show an entertaining five-phase poker demonstration and, of course, you always win! It is suitable for both close-up and stage. Use any deck of cards (even jumbo cards).